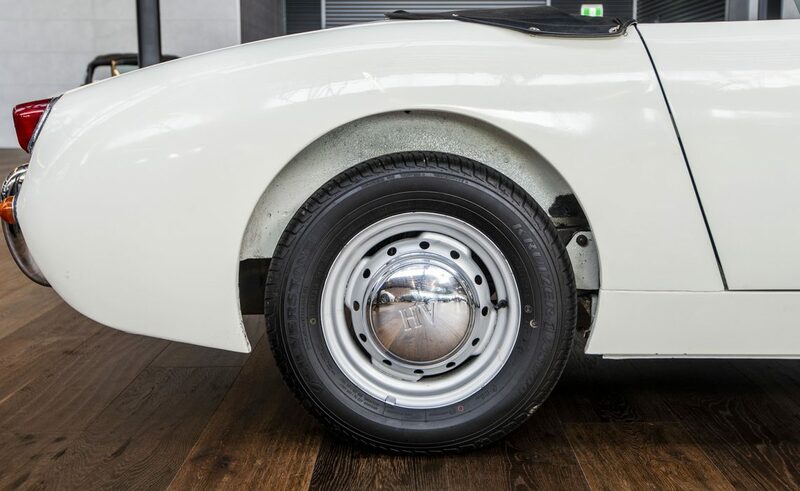 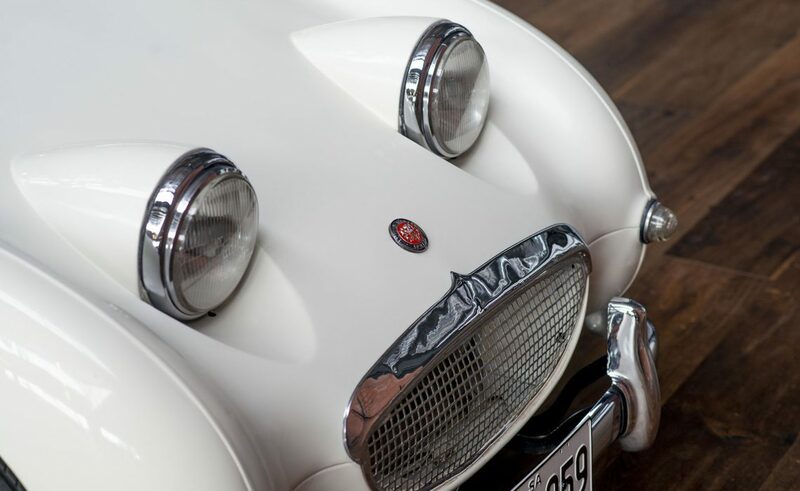 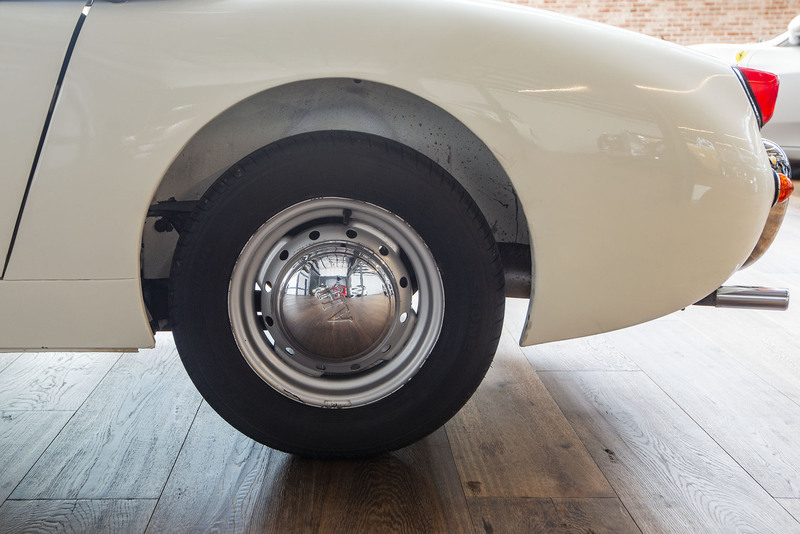 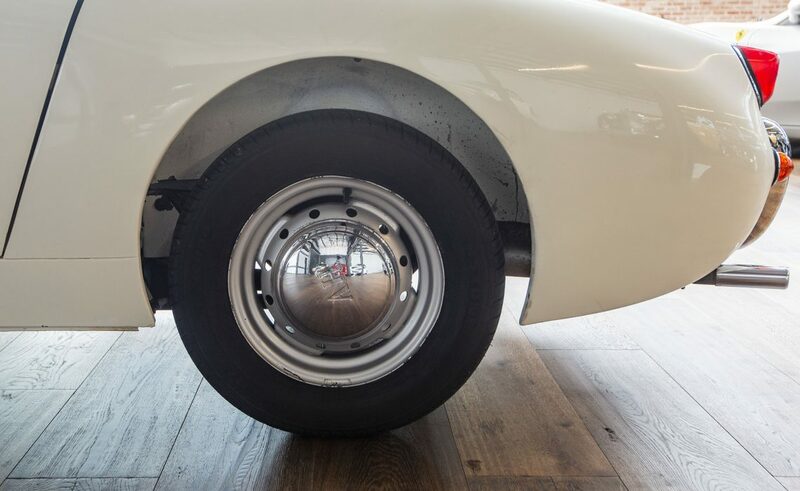 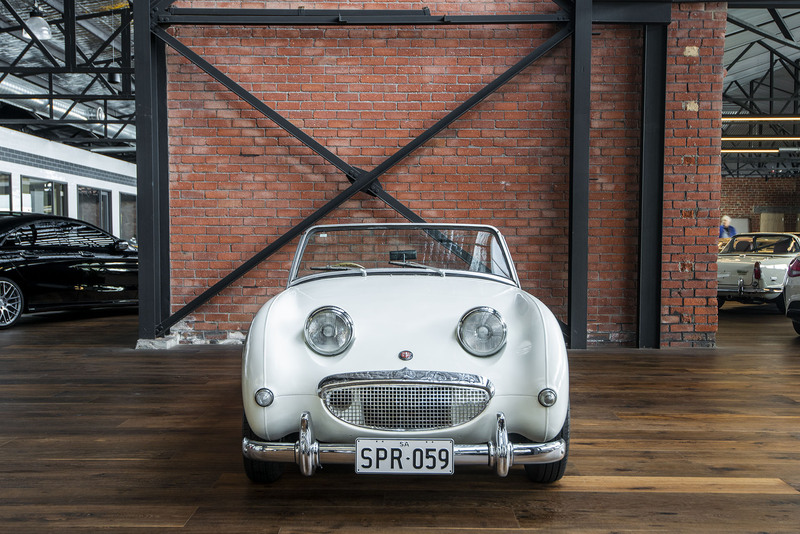 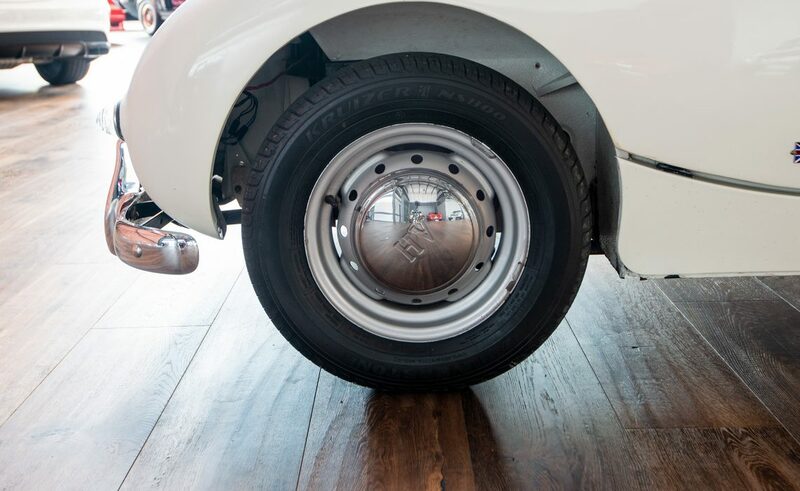 Lovingly and affectionately always referred to as either a "Bugeye Sprite" or a "Frogeye Sprite", you can appreciate this affection by looking at it's smiling face. 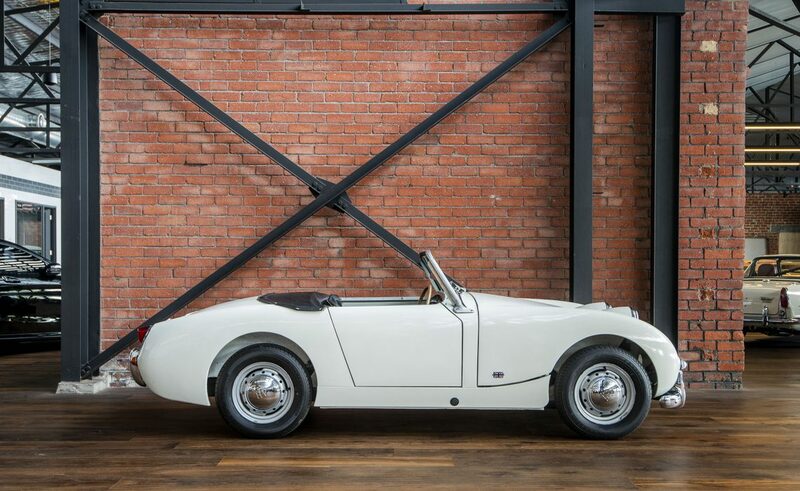 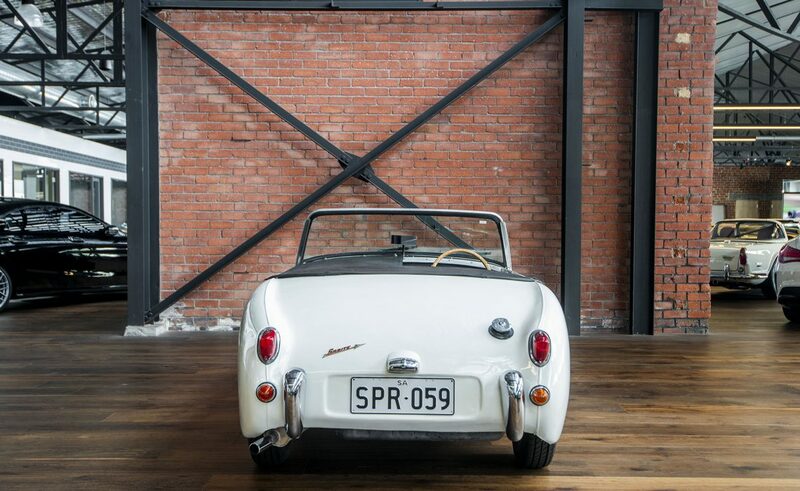 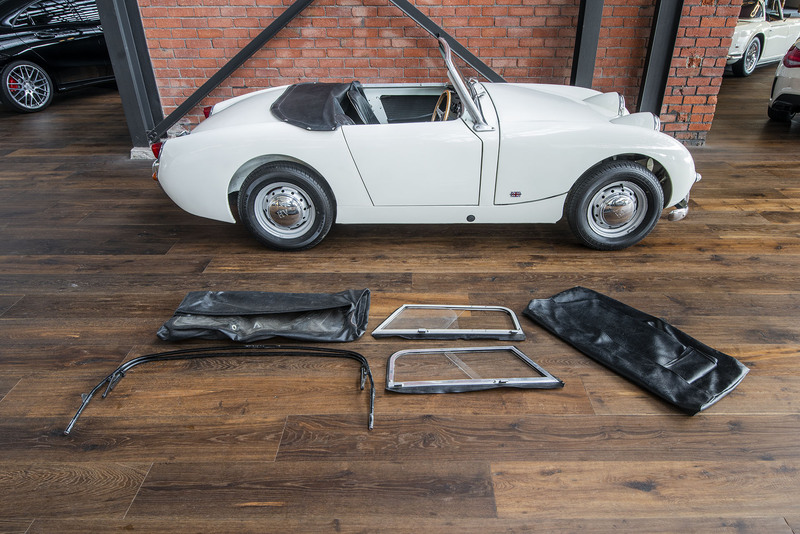 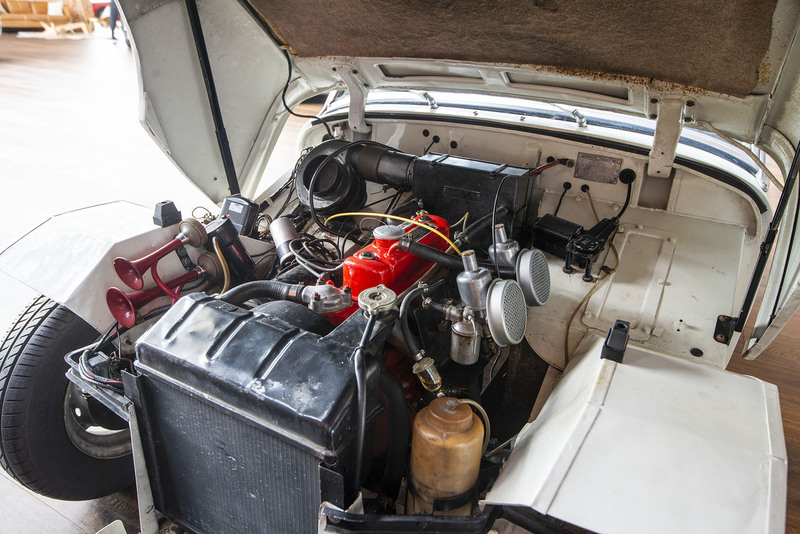 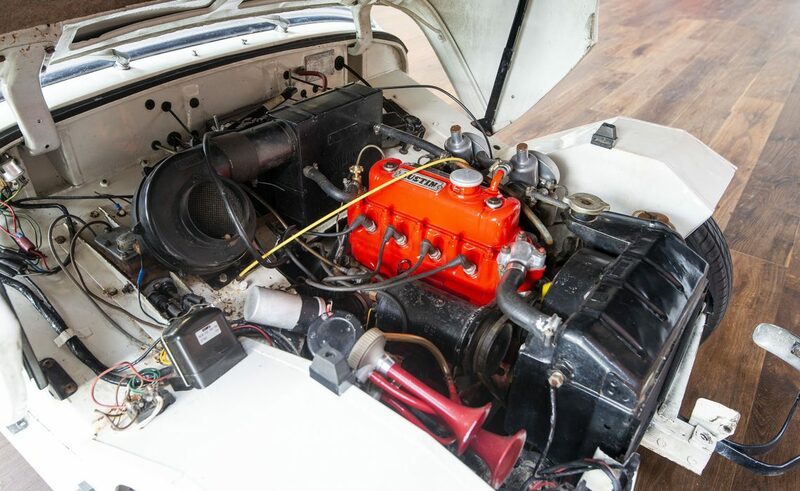 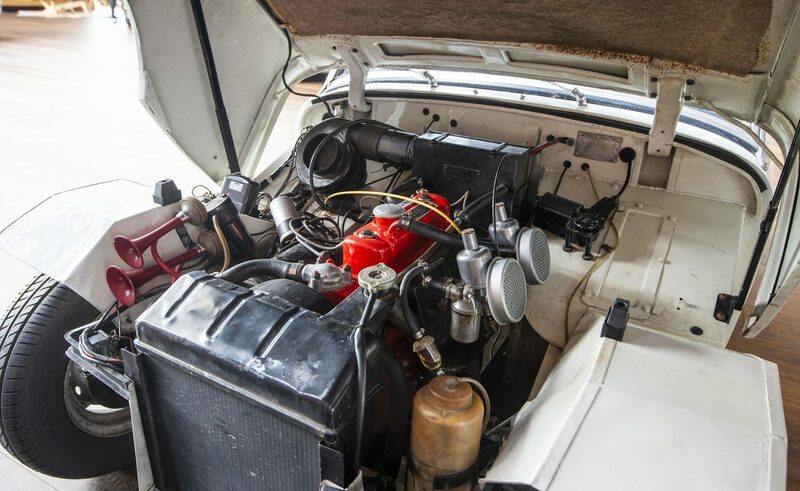 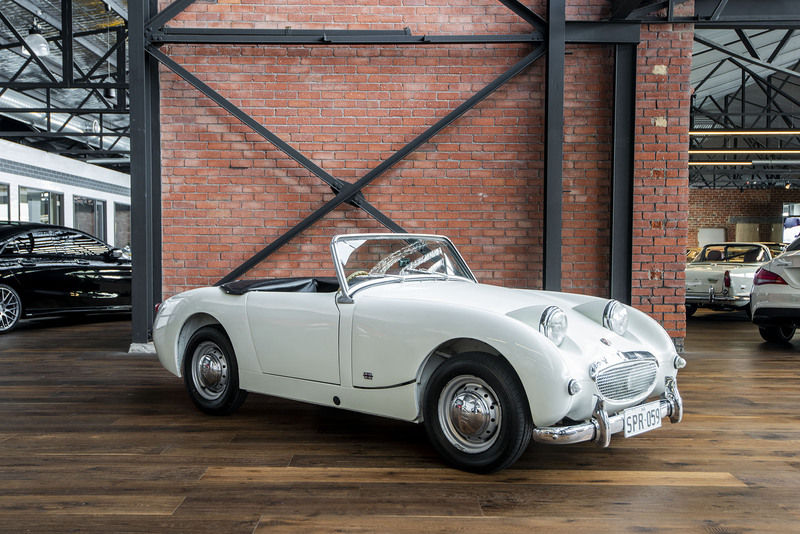 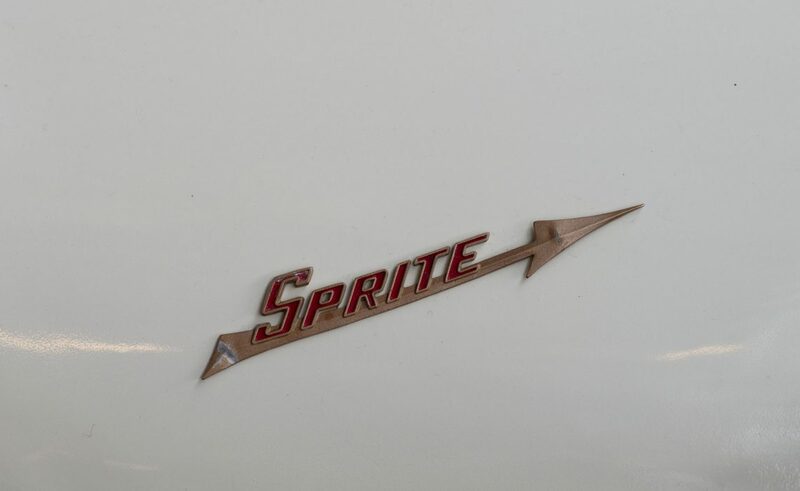 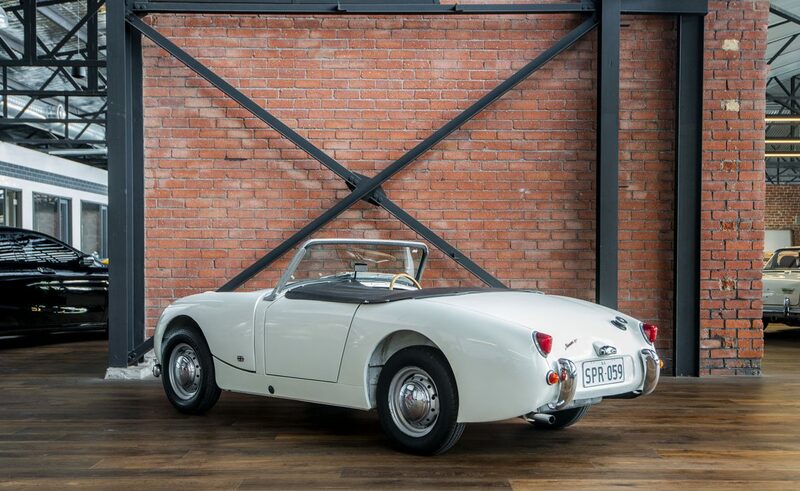 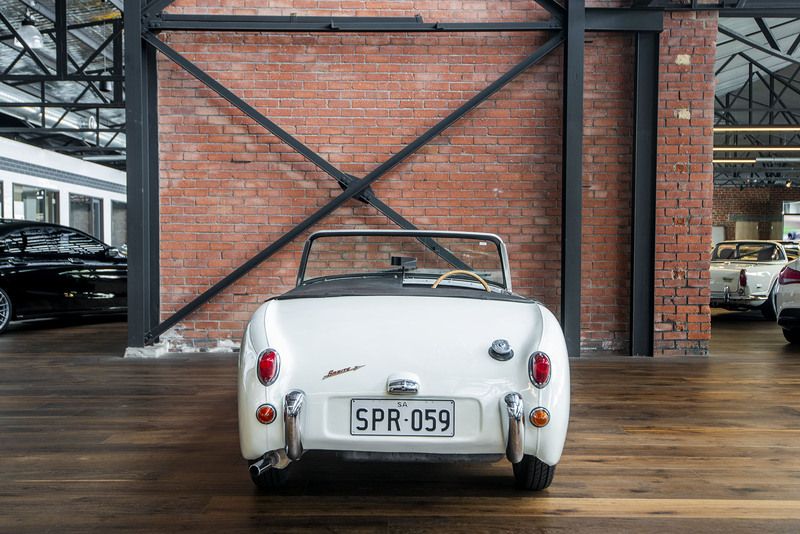 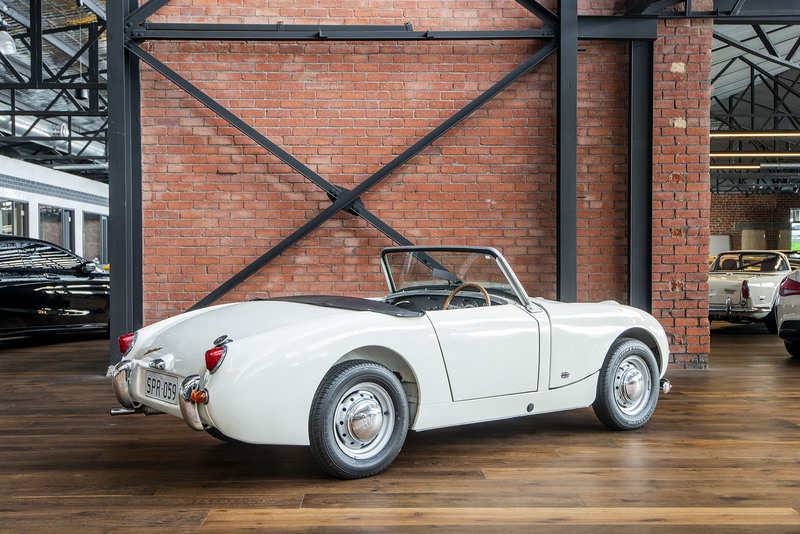 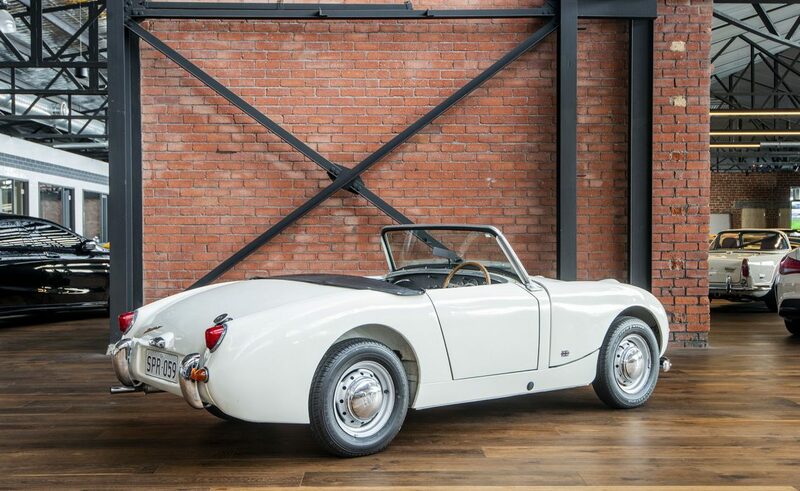 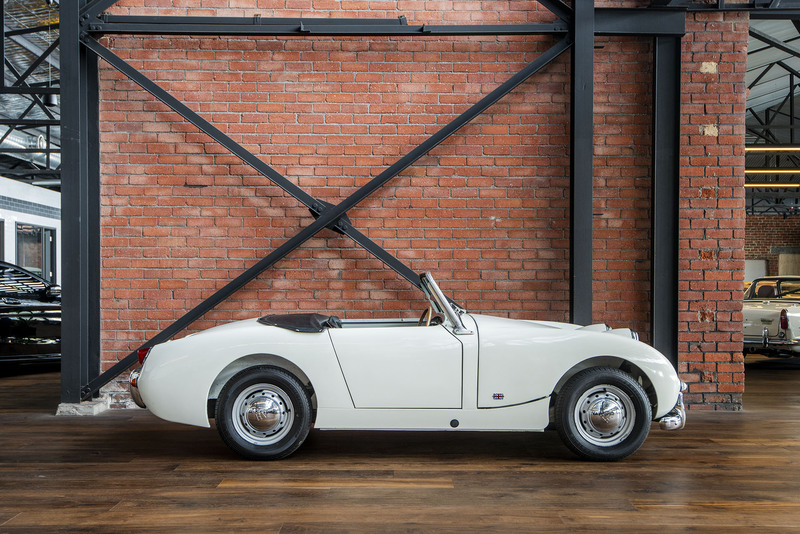 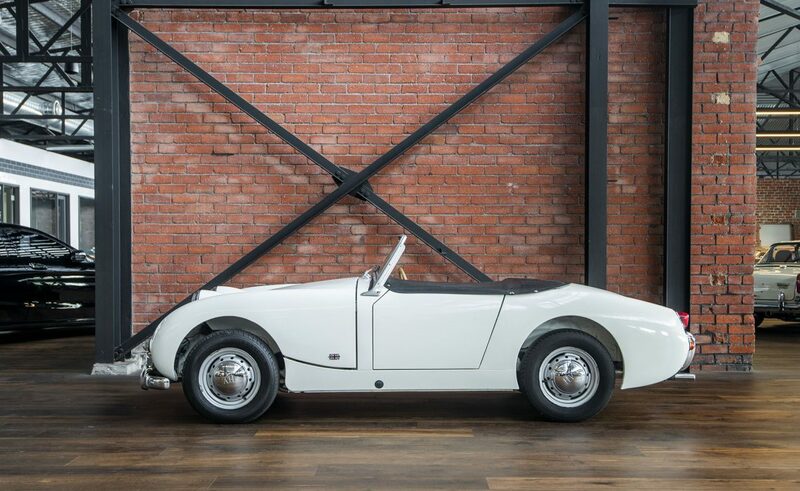 A great example of the Mk1 Sprite, which was built in Australia from CKD parts from the UK. 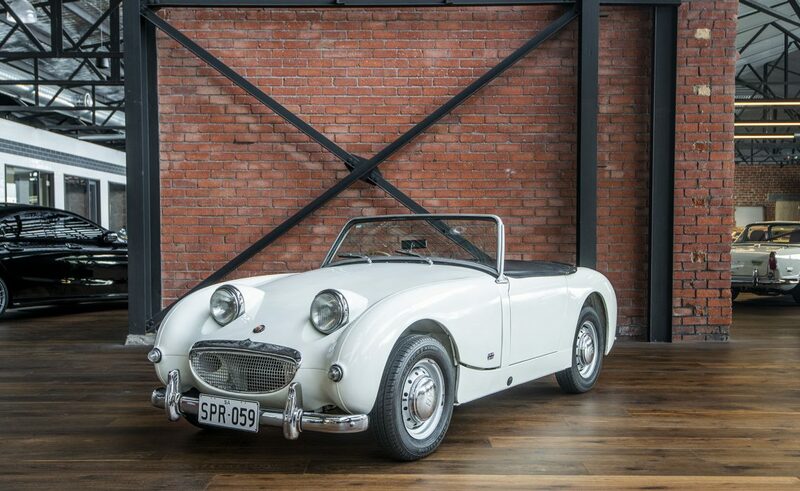 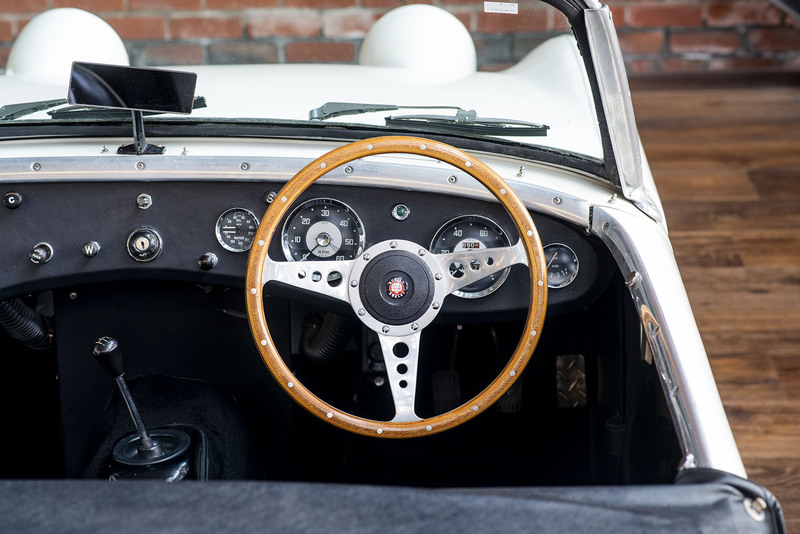 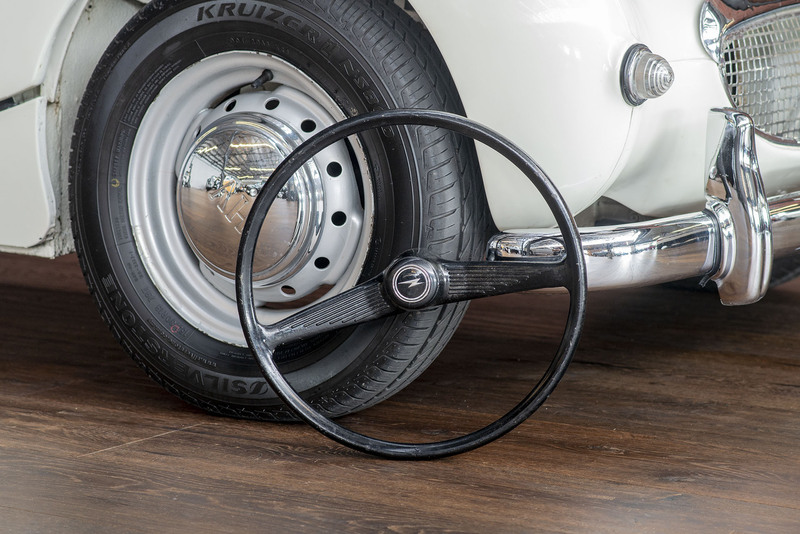 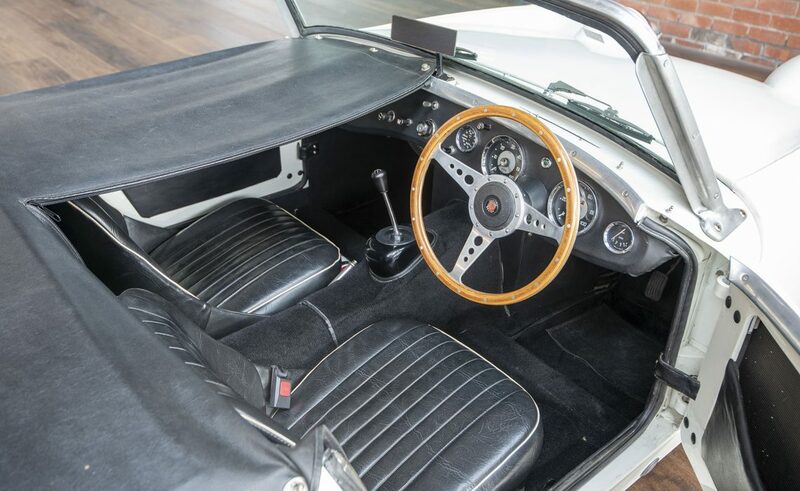 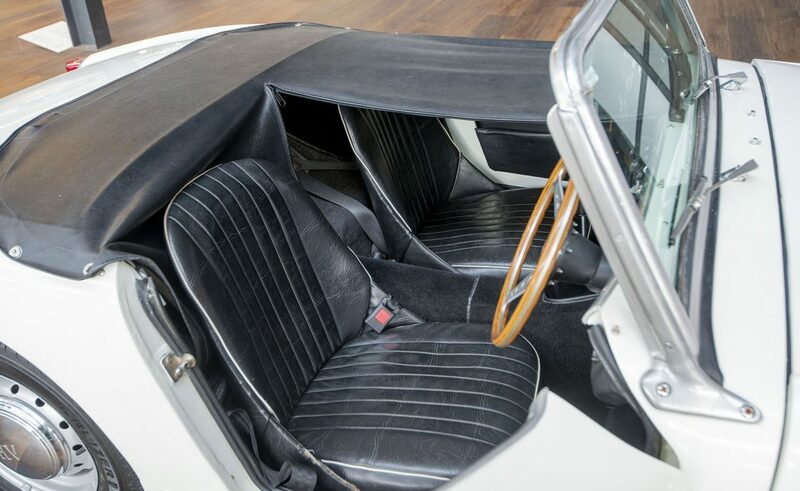 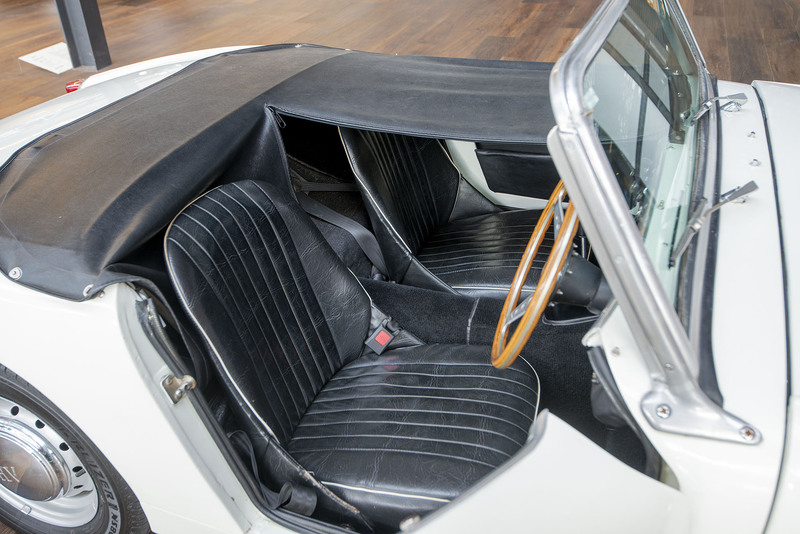 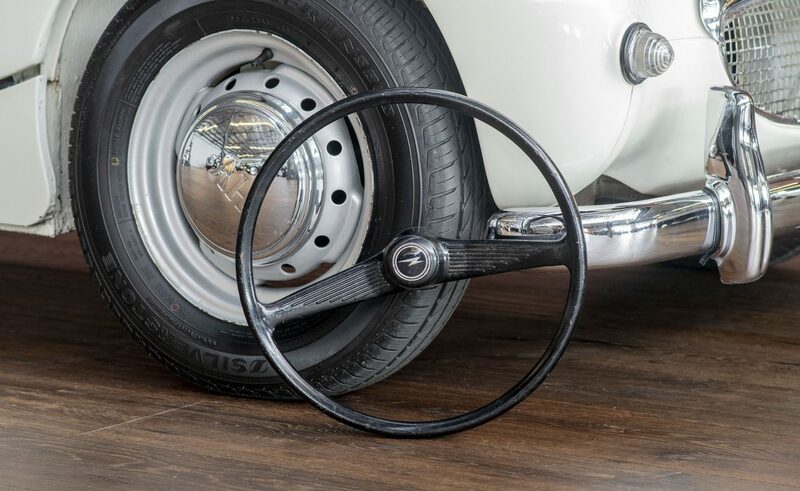 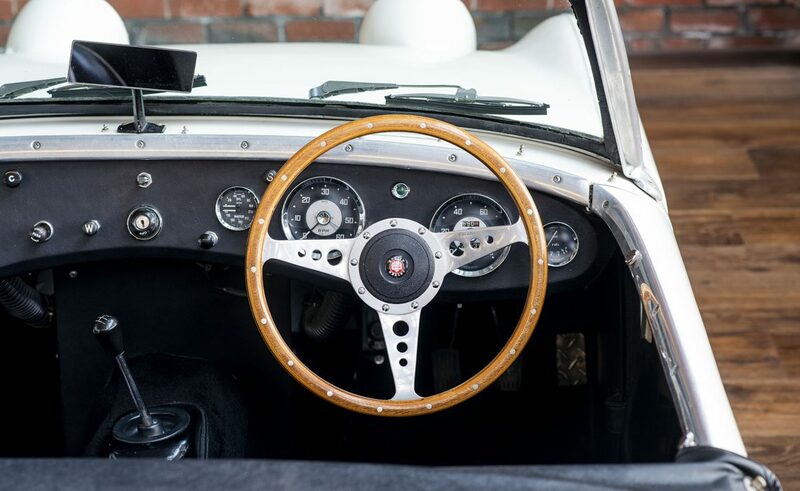 This example is very rare because it still wears it's front bumper bar, comes with the original steering wheel and rarest of all, the original steel bonnet. 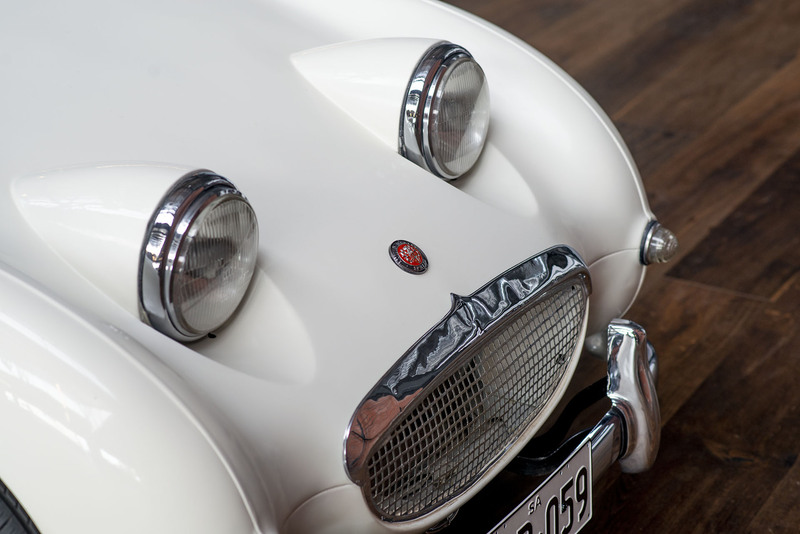 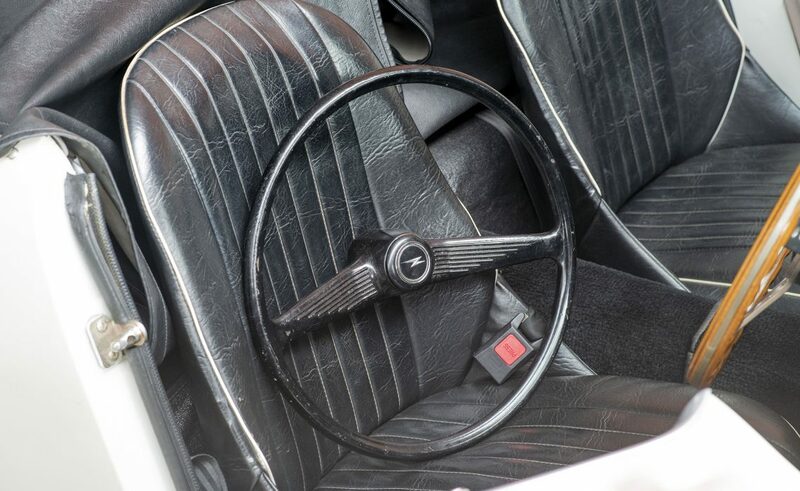 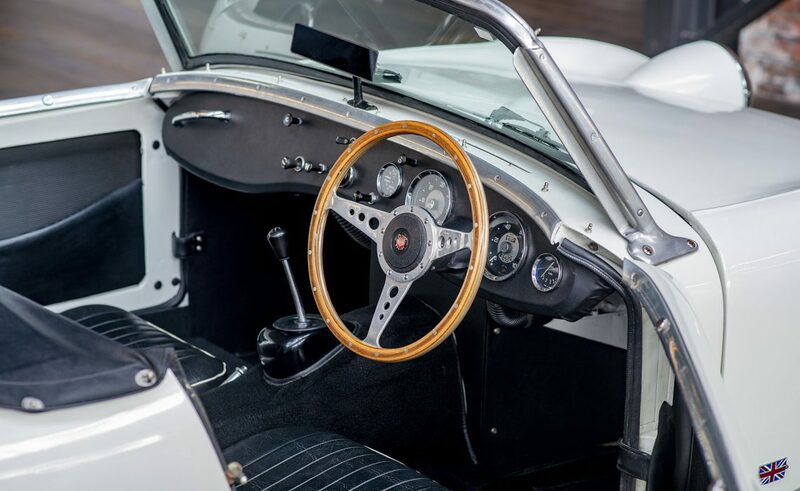 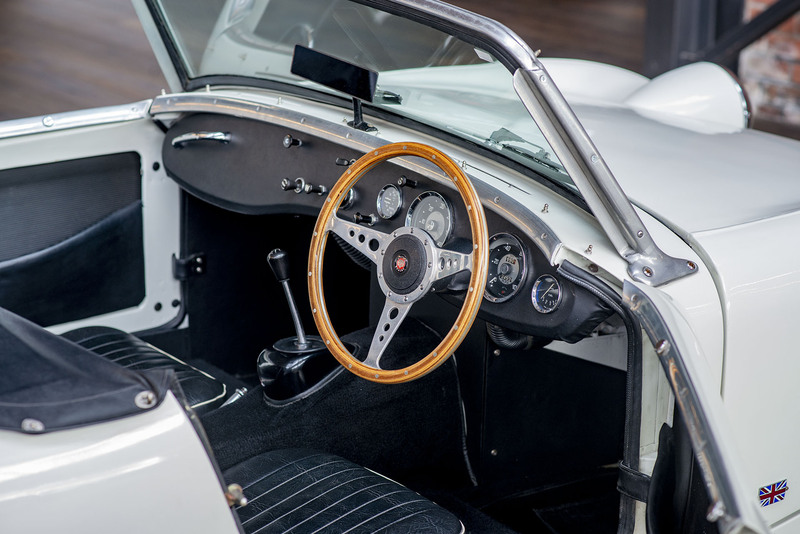 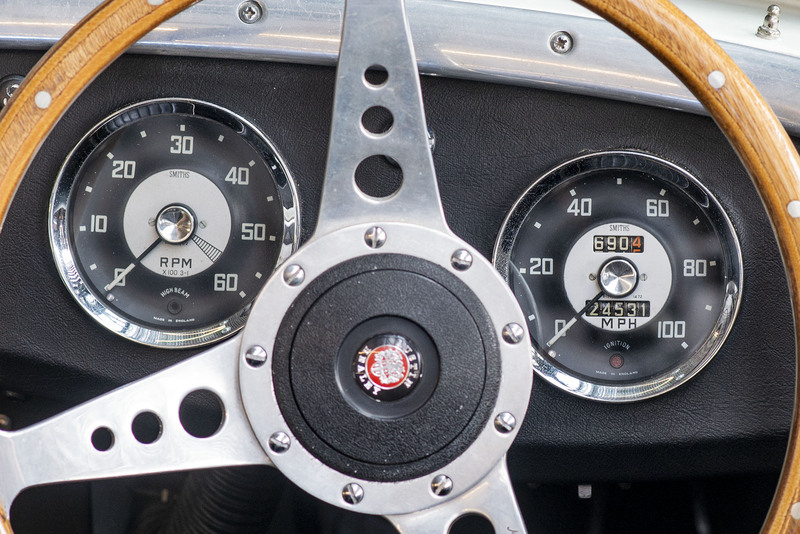 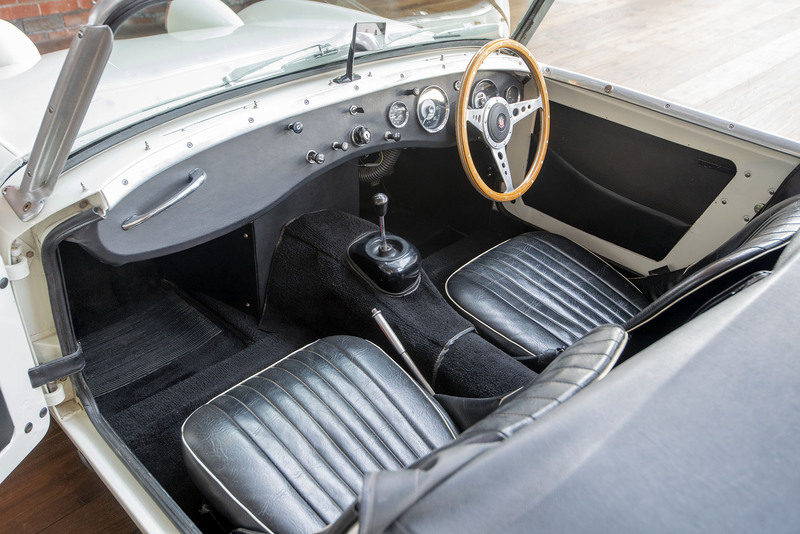 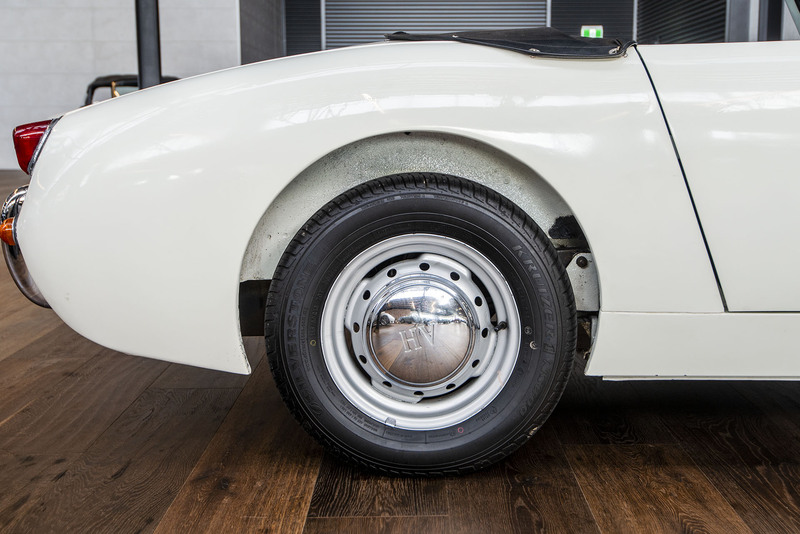 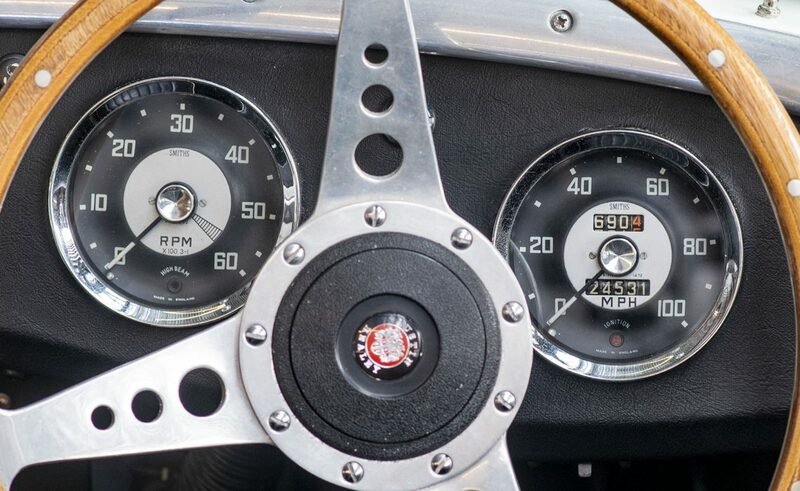 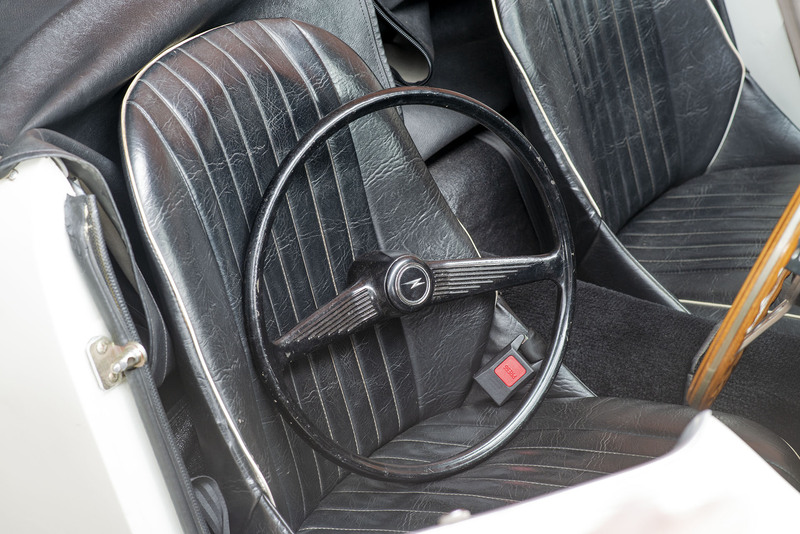 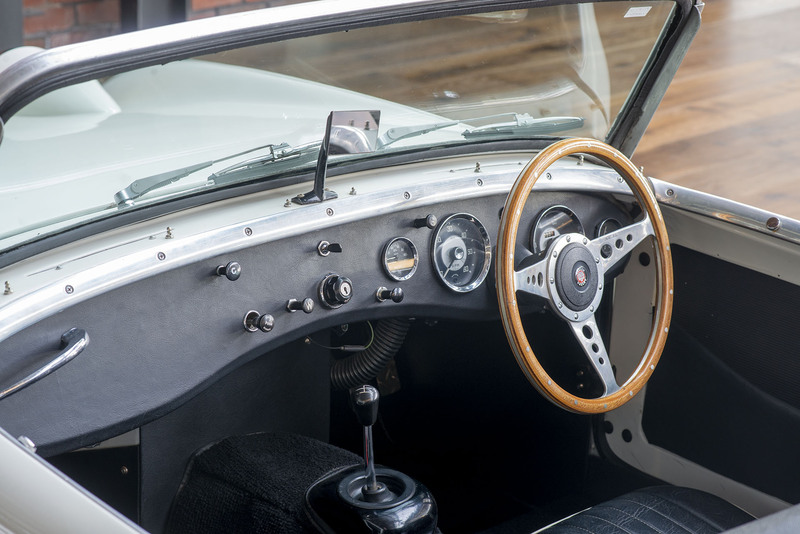 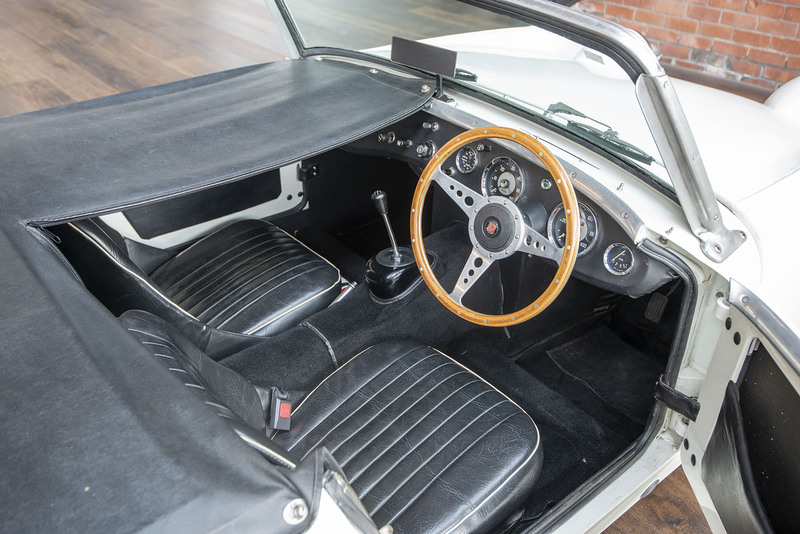 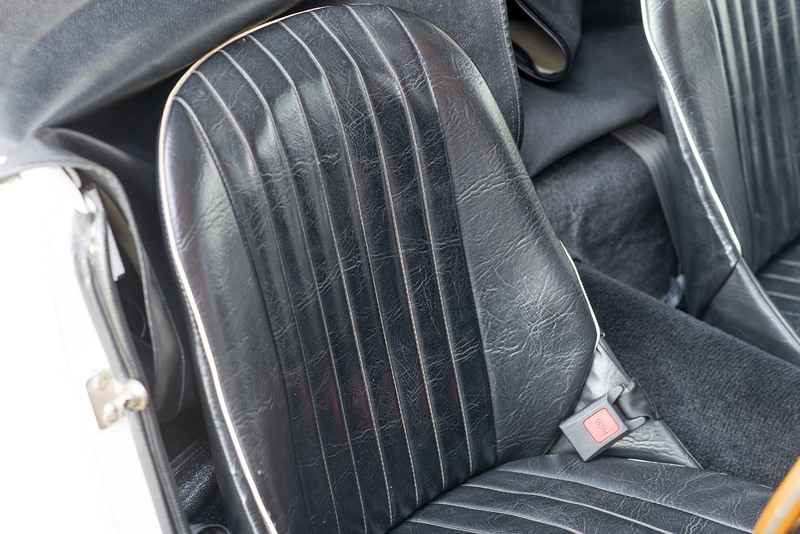 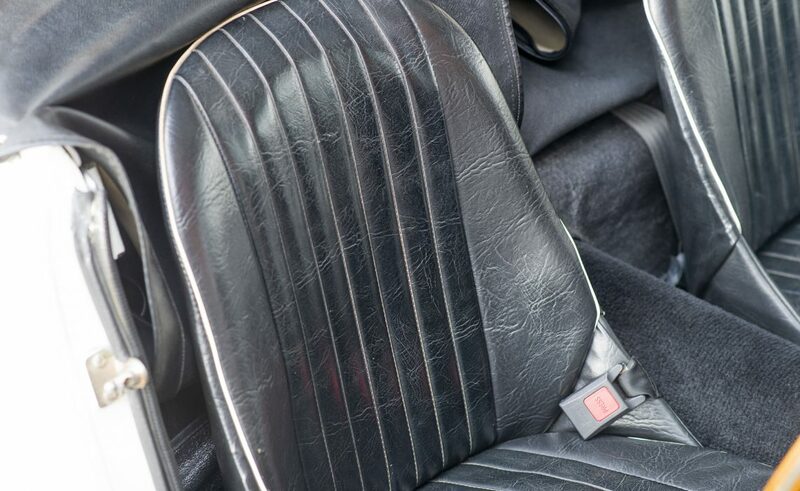 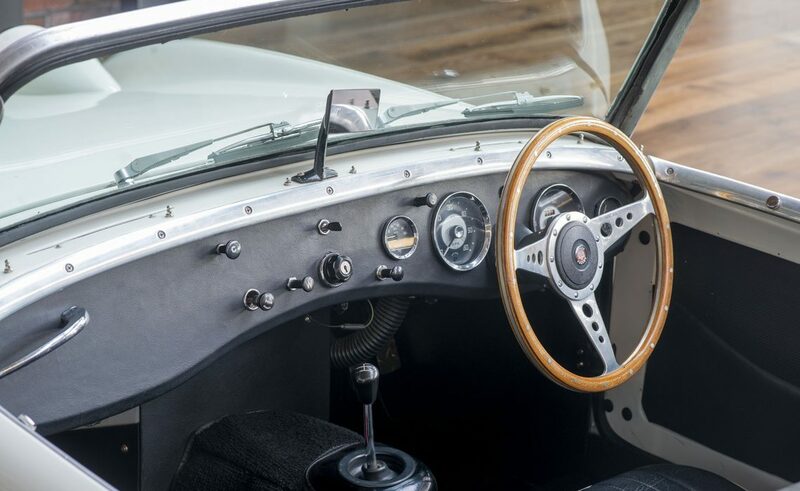 Most Bugeyes had their bonnets replaced with much lighter fibreglass replicas. 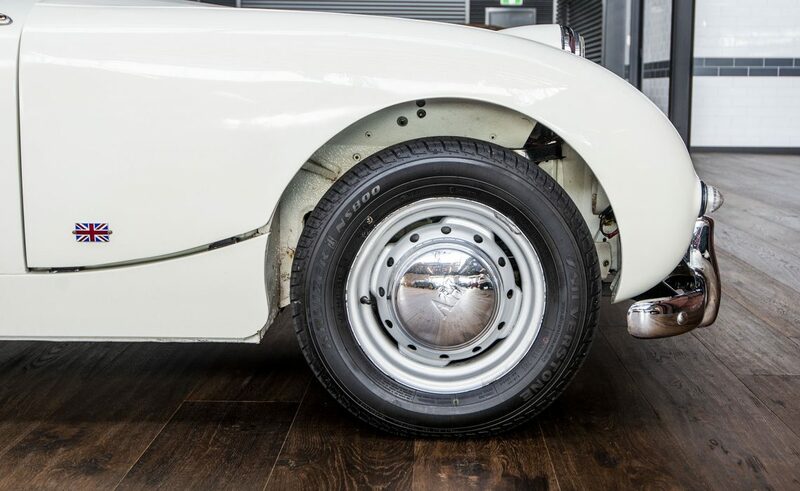 To finish the picture, original slotted steel rims and AH hub caps. 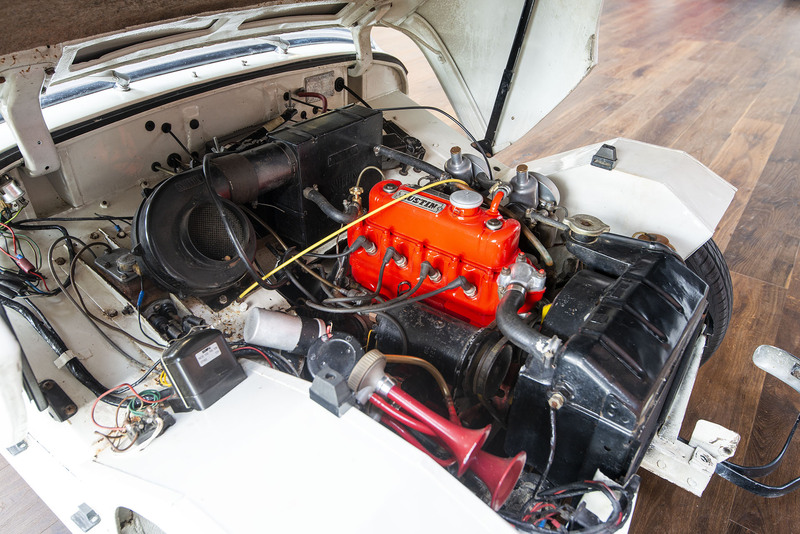 Power comes from a BMC A series engine of 948cc and drives through a 4 speed gearbox. 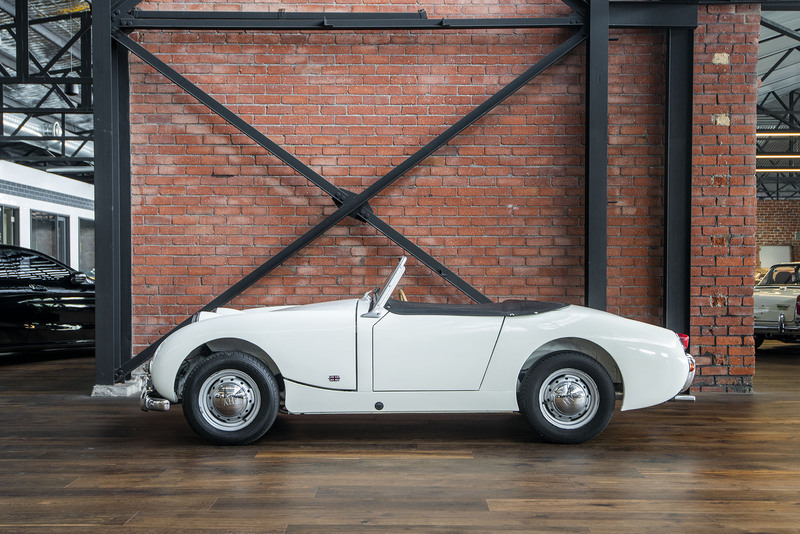 Certainly not a fire breathing sports car by today's standards, but you will get lots of fun and admiring looks when you drive it. 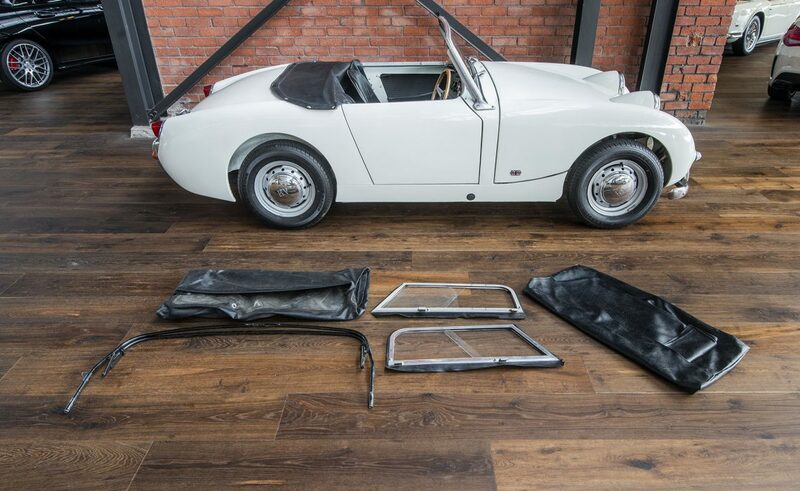 The soft top is old but in good condition and the same can be said of the tonneau cover. 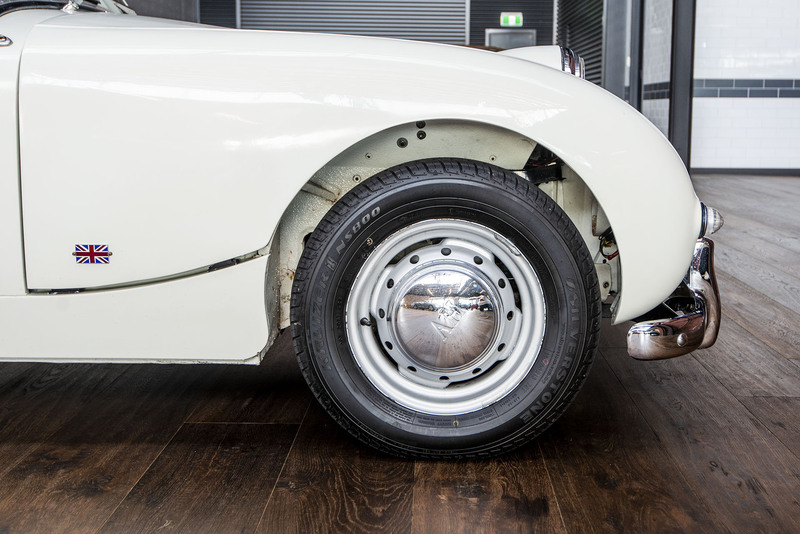 It is wearing 4 new tyres and has a years historic registration in South Australia. 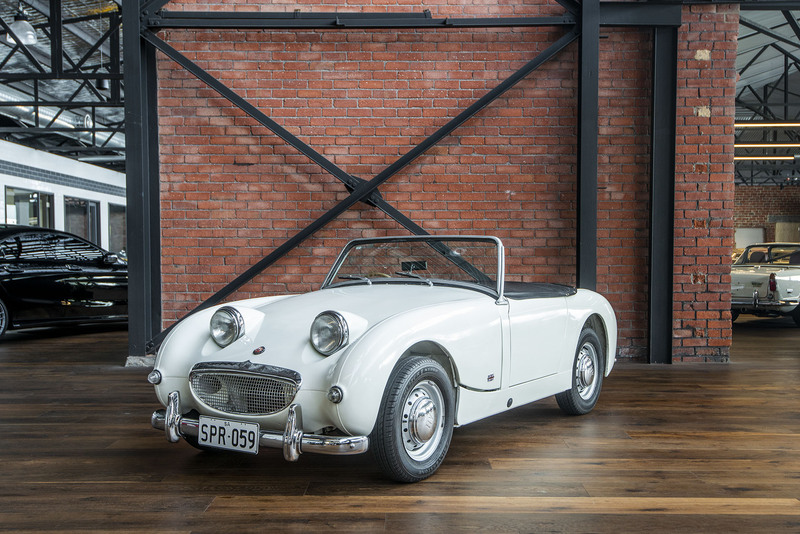 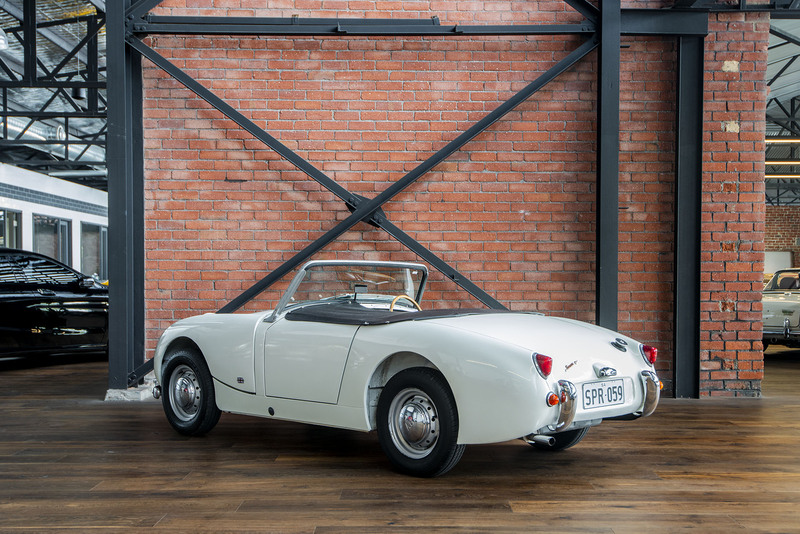 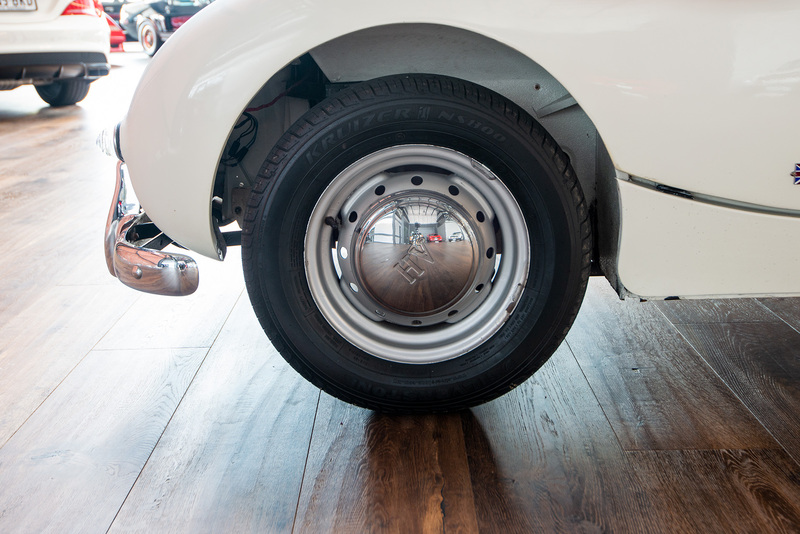 This very cute sports car is on our new showroom floor in Adelaide.